Much has been said about the new Touch Bar feature on the latest version of Apple’s flagship laptop, the MacBook Pro. Some see Touch Bar as a cool new feature, with unlimited potential for different uses. Others look at Touch Bar as a gimmicky afterthought. Just a new shiny thing in a parade of new shiny Apple things that doesn’t add much in the way of true functionality to the MacBook Pro. The debate is sure to rage on for months (if not years) to come. Touché requires macOS 10.12.1 or later, but there’s a catch! You must have the very latest 10.12.1, with system support for the Touch Bar. If your 10.12.1 version is specifically 16B2657, you’re good to go. If not, you can update to the required version here. You can confirm you are running 16B2657 specifically, by clicking the version number in the About this Mac panel. If you’re curious about the Touch Bar experience but don’t have access to a new MacBook Pro, give Touché a try! It’s been just a few days since purchasing a Microsoft Surface Pro 3 256 gigabyte tablet with the type cover. I am finding that I really enjoy the experience. Microsoft really has struck a chord I find myself responding to. I believe this is the computing experience I have been seeking for a while now. Over the years I’ve had multiple desktop and laptop machines, both Mac and Windows. Certainly over the years I’ve had my fair share of problems with Windows, and to be honest fewer problems with Macs. I’ve also gone through the modern capacitive touchscreen experience with both iPads and Android tablets. The iPad media consumption experience is superior, but newer Android devices have mostly caught up and offer tremendous value for money when compared to over-priced iPads. As I’ve noted in prior articles, over time I hoped to somehow transform the tablet experience from being perhaps the best media consumption devices developed to date into genuine productivity devices. The sheer portability of a tablet is dramatic when compared to laptops, the necessary bulky laptop bags, and the sheer weight of their accumulated accessories. After trying three separate Bluetooth keyboards on two different iPad models, I found typing on an undersized netbook-sized keyboard was a notably unpleasant experience. Posting articles to the web from a tablet can be done but it’s not the most pleasant experience without the aid of a mouse. Laptop computers have shrunk in size in recent years, but a laptop is still a laptop and does not offer the same portability and overall ease of use of a modern tablet. The non-touch, laptops I still bring with me have ended up not being used nearly as much as they once did. Now that I’ve experienced the sheer portability and convenience of a tablet with a real keyboard and touchpad, I find myself being a lot more productive. I believe there has been a subtle psychological barrier that has developed over the past few years that has limited my overall computing productivity. The sheer ease of use of touchscreen phones and tablets contrasted with the much more clunky experience of non-touch conventional laptop computing ended up making it easy for me to justify in my own mind being less productive. I would have ideas for articles to write or videos or other media to compile that would necessitate me digging a laptop out of its bag, plugging it in so I wouldn’t run down the battery, booting it up, etc. and this psychological inertia made it easier to just procrastinate instead. My Windows 10 experience so far has been exemplary. It takes the Surface Pro 3 less than 5 seconds to boot up completely from a cold state. That encourages me to simply turn it off when I’m not using it. I can turn it on and immediately start using it. That’s a far cry from machines of old running off of hard drives. I find it amazing that I have a full, powerful PC that can run real productivity software in a tablet form factor. The Surface line of computers running the Intel version of Windows is a genuine game changer. I can already hear the howls and catcalls from some quarters, but the combination of Windows 10 and the surface has brought me back actively to the Windows platform. Even though Macs are well-known for their security, it’s still important to keep tabs on your Mac’s security. With excellent anti-virus protection and built-in tech support capabilities, MacKeeper is the perfect Mac security and support solution. 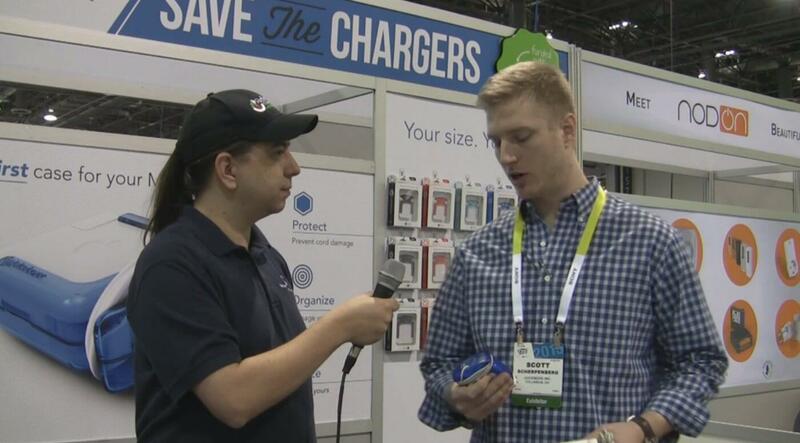 Jamie and Nick talked to Jeremiah Fowler from MacKeeper about his product. 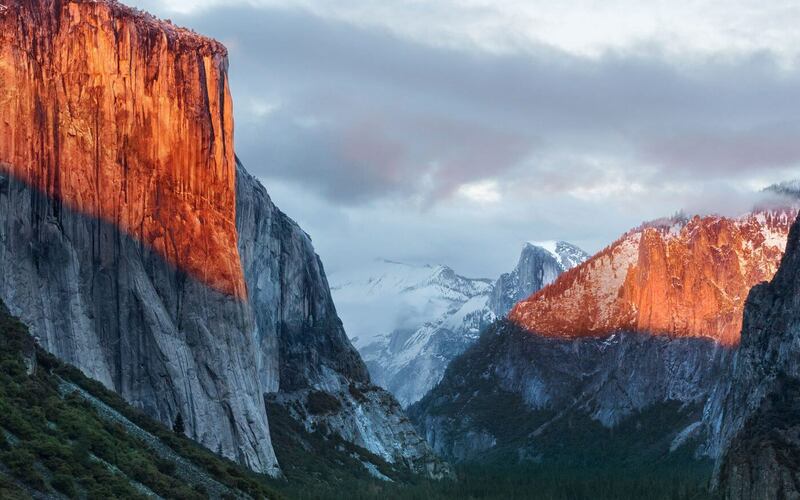 MacKeeper is an application with a wide range of features to protect and enhance your Mac. You can connect with a real technician to troubleshoot and solve computer issues, manage and protect your Mac’s data against viruses and security breaches, clean up your system, and much more. MacKeeper’s support staff are certified IT professionals, so you can rest assured that you’ll get expert assistance every time. MacKeeper runs quietly in the background of your system, so you won’t experience annoying lags in speed or performance. And with pricing as low as $7 per month, you won’t have to break the bank to get user-friendly all-in-one tech support for your Mac. For more information, visit MacKeeper’s website. 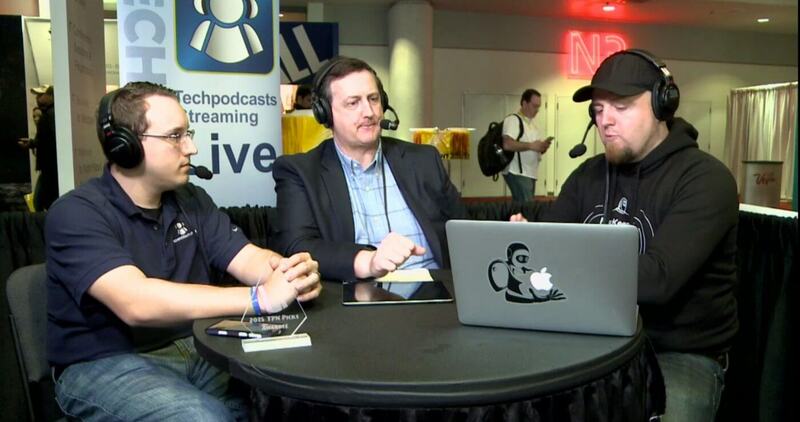 Interview by Jamie Davis of Health Tech Weekly and Nick DiMeo of F5 Live. There’s no shortage of cases and sleeves available to protect your phone, tablet, or computer, but what about your Mac charger? Charger cables are fragile, and it’s not hard to break one — or more — without proper protection. Luckily, there’s now a durable, stylish way to protect your Mac charger without breaking the bank. 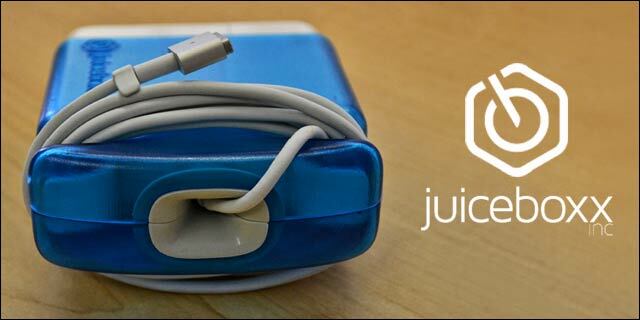 Scott got to talk to Scott Scherpenberg about the Juiceboxx, a protective case for your Mac charger. The Juiceboxx’s unique trumpted design sturdily protects your charger from fraying and breaking, and with 6 different colors available, your charger can be just as stylish as the rest of your gadgets. The Juiceboxx is available for purchase now for $19.99. For most people it’s usually faster to read than it is to listen but there are times when it’s better to listen than it is to read; while driving or at the gym, or even for pleasure to nod off to sleep. If this sounds of interest, take a look at Capti Narrator. Capti Narrator is a popular app for the iPhone and iPad which takes text and reads it out. It’s sophisticated with features such as playlists and it can read from a range of textual formats (.pdf, .doc, .rtf, .epub, etc.) sourced from a variety of locations – Google Drive, Dropbox, Instapaper, local storage and more. At this year’s CES, Charmtech Labs LLC has announced Capti Narrator v1.0 for Mac and Windows computers which greatly increases the flexibility of the app. If Capti is installed on more than one device, the playlist can be synchronised via Capti Cloud and seamlessly switched between devices. Capti makes it easy to add webpages to the playlist and it skips ads, menus, and other clutter and reassembles articles spread across multiple pages. Without installing Capti, the Capti Bookmarklet can be added into any web browser on Windows, Mac, or Linux to add webpages to Capti Cloud. Capti can be downloaded for free from www.captivoice.com.